Play specialists, Timberplay have teamed up with Cornwall Council to deliver a play study day designed to support the development of better play spaces to benefit communities. 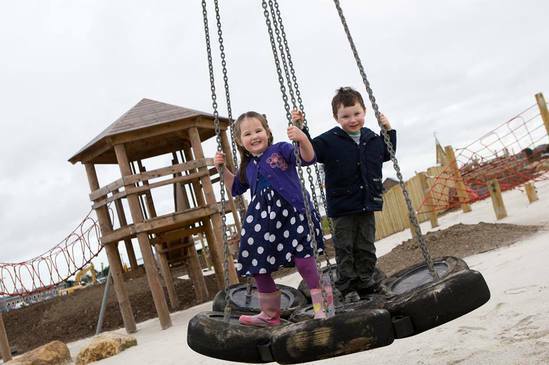 The event will take place at Heartlands in Cornwall on the Wednesday 24th April 2019 and will focus on ‘How to develop open spaces to include play which benefits the whole community’. Various speakers will provide presentations on different elements of play, including multi-generational play, effective maintenance planning and how to incorporate acceptable levels of challenge and risk within designs. Running from 9am-4pm the event will also include the designer of Heartlands play area, Adrian Wikeley from well-respected Landscape Architect firm LUC, who will provide an overview of the development of the play space and how these objectives and lessons can be applied to more domestic settings. “We are proud to be working alongside Cornwall Council to support the development of better play provision. We have an extremely knowledgeable array of speakers who understand the value of play as a tool to attract a diverse range of people. SPEAKERS: Robert Lacey, Planning Policy Group Leader, Cornwall Council (Why we need to make the best use of our open spaces), Beth Cooper, Creative Play Consultant, Timberplay (Play theory, okay value and the importance of challenge and risk within play), Juliet Rose, Eden Project (It’s great outdoors – working with families and intergenerational groups), Adrian Wikeley, LUC (Designing award winning play spaces), David Yearley, Head of RoSPA Playsafety (Managing risk within play spaces and effective maintenance, Melissa Raloh, GI for Grants, Cornwall Council (Biodiversity and how to embrace it in your open spaces). 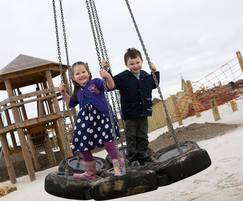 For more information on this release please call Lilly on 0114 282 3474, 07941 661269 or email lilly@timberplay.com.